If you are considering working in another country, but you do not know which one and you are evaluating different options, you should think about Luxembourg. If it does not sound familiar, do not worry. Probably it is not a known destination for you; neither is for many, since the information on this country is not widespread. In this article you will find out a few things you should consider if you are interested in this European country and place of employment. To begin, we provide some important facts about this country. The official name of this country is Luxembourg, with the highest authority Henry I, Duke of Luxembourg. It is a country of not very extensive territory, located in the center of Europe. It is a member of many multilateral organizations, which indicates its support for the European economic and political integration in recent years. The official languages are French, German and Luxembourgish. The last one is spoken by natives. – Financial and Insurance sector: This country is the headquarters of major international banks, interested in managing the capital invested by investment companies. Installed insurance companies seeking for tax exemption. – information technology sector: both Junior and Senior job positions are seek to be covered in E-Business, Data Centers, Web Design. 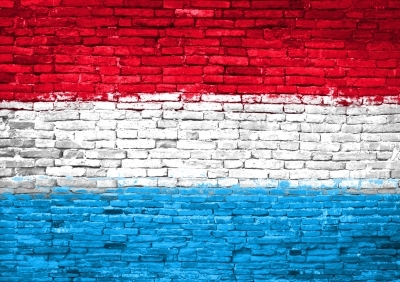 If you want to get a job in Luxembourg, it is important to consider obtaining European citizenship, because without this community concession, thereby preventing access to benefits and powers granted by the Employment Office (Administration de l’Emploi, visit the link: http:// www.adem.public.lu/). This Office is responsible to assist anyone who is a citizen to find work in Luxembourg. In the case of those who do not have EU citizenship of the European Union, they must apply for a residence permit to the Ministère des Affaires et de l’Immigration étrangère (Ministry of Foreign Affairs and Immigration), which will allow such person to access Luxembourg territory for 90 days. During these 90 days, it must be approved residency application. From this point, you can sign any contract you want. – http://www.stepstone.lu/ (Available in English, French and German, the European leader in job searches, provides updated warnings). – http://www.go4constructionjobs.com/es/location-353.html (on this website are only offered jobs for professionals involved in the field of construction in Luxembourg). – http://iwork.iagora.com/jobs/Luxembourg/listing/::lang=es (By selecting Luxembourg within the Work tab, you will find hundreds of current offers). Finally, you may have noticed that having received all kind of specialized training, either vocational or technical education and European citizenship (EU passport), turns out to be beneficial in obtaining employment in Luxembourg, where the labor market is highly specialized and therefore highly paid. However, note that if you want to project a promising future in this country you must be fluent in English, French and German at least. Hopefully, this article would help you in your job search.